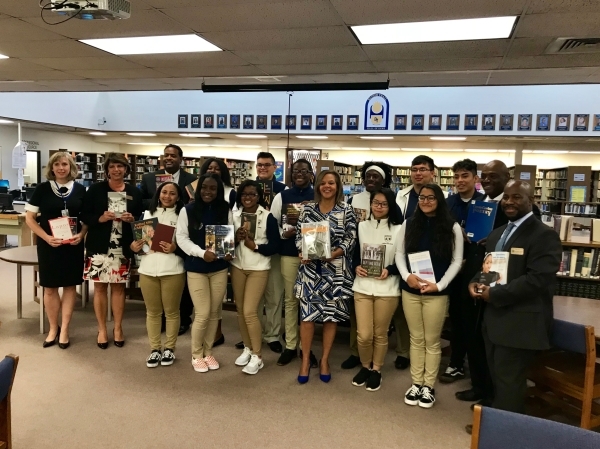 Congresswoman Robin Kelly personally delivered 200 books this week to Bloom Trail High School in Chicago Heights and Prairie-Hills Junior High School in Markham as part of the Library of Congress’ Surplus Book Program. Each school received 100 books that included biographies, fiction, folklore, poetry and science. In celebration of Hispanic Heritage Month, many of the books highlighted Latino leaders, Latin American poetry and a history of Latino Americans in Congress. The Library of Congress donates surplus books to schools, libraries and non-profits through Members of Congress. Previous schools that have received books from Congresswoman Kelly through this program include Douglas Taylor Elementary School in Chicago, Creative Communications Academy in Calumet City, Strassburg Elementary School in Sauk Village, LaVasseur Elementary School in Bourbonnais, Dr. Ralph J. Bunche Elementary School in Markham and Crete-Monee High School in Crete. 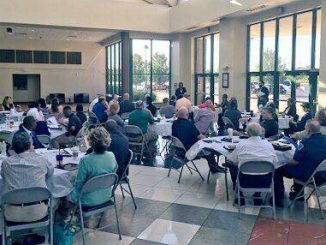 The Congresswoman regularly contacts schools to introduce the program. Schools expressing an interest receive age-appropriate books.